The Midnapore community was designed with recreation and leisure in mind. Consequently, there are plenty of things to do in Midnapore. We invite you to explore the small sampling of Midnapore’s most popular activities and local attractions below. At the centre of the community, Midnapore Lake provides plenty of fun. Swimming, boating, and fishing are popular activities on this private lake during the summer, while the winter caters to family skating and ice hockey. In the spring and fall, changing environments and beautiful sights make this a fantastic place for a romantic stroll or lively chat. Regardless of the time of year, there’s always something to do at the lake. Midnapore is located alongside Fish Creek Park, providing residents with phenomenal access to this environmental wonderland. Beautiful pathways weave through protected natural environments. The park is the perfect place to go for a relaxing walk, to get in shape, or for an excursion with the family dog. Within Midnapore itself, numerous community parks can be found, allowing residents to participate in a wide range of sports and leisure activities. Tennis courts, ball diamonds, and multi-sport fields are common throughout Midnapore. Playgrounds, a hockey arena, and a basketball court are also available for resident use. A series of pathways are available to Midnapore residents. Fish Creek Park offers numerous hiking and walking paths, open to the public throughout the year. Midnapore also has a community network of trail pathways that allow home owners to enjoy walks within their neighbourhood. Midnapore’s convenient location along MacLeod Trail SE makes it easy for homeowners to run errands or indulge in a little retail therapy shopping. A large shopping district can be found in Shawnessy, adjacent to Midnapore’s south, complete with numerous businesses that include grocery stores, a movie theatre, retail outlets, and popular restaurants. Additional local shops and services can be found throughout Midnapore. The closest golf course to Midnapore is McKenzie Meadows Golf Club, which is an easy ten minutes from the community. The public and semi-private club features an 18 hole championship course designed by Gary Browning. This links-style course winds alongside the gorgeous Fish Creek Park, and is interspersed with seven lakes and white sand bunkers located along the course. 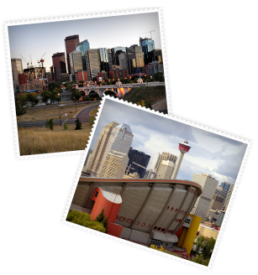 The Calgary Real Estate Advantage team will be happy to help you explore Midnapore real estate & all the wonderful things to do therein. Call 403-968-1496 or message us online to get started!